The month of May is AP testing season. Kids across the nation all sit for each AP test at the exact same time, and they are only offered that one time each year. 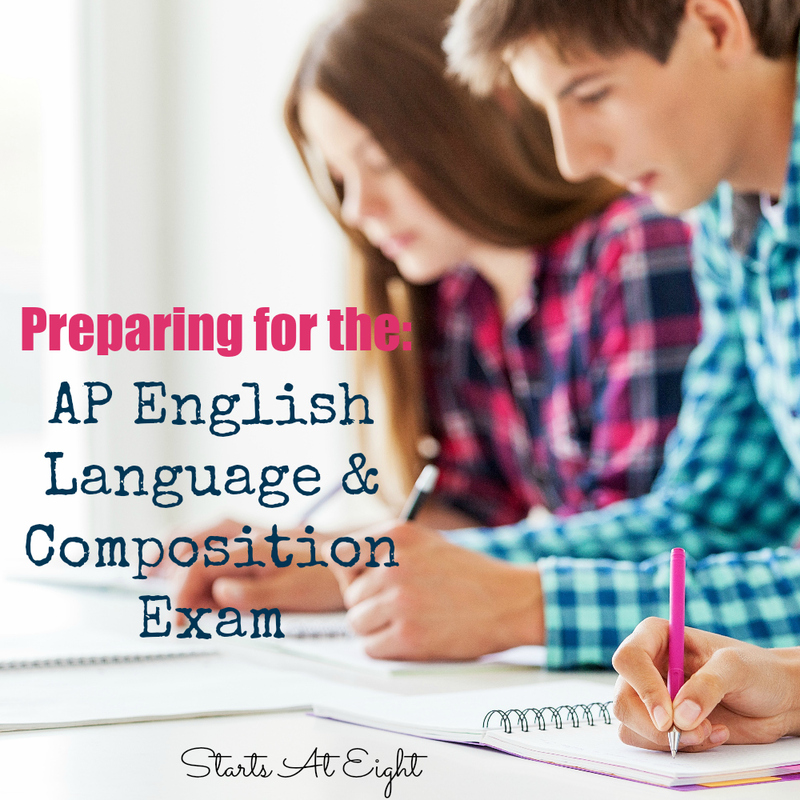 This year my homeschool high school student prepared for and took the AP English Language & Composition Exam. I recently wrote all about AP exams. 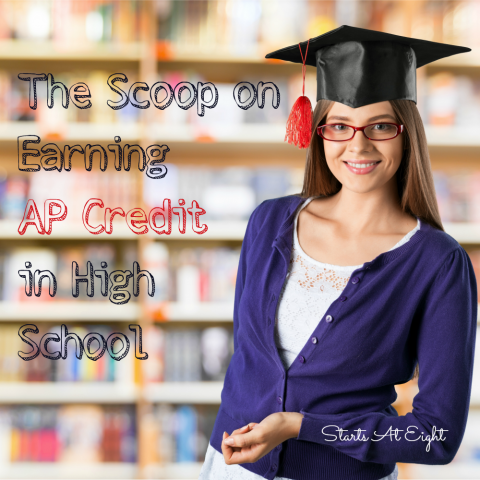 To find out more check out The Scoop on Earning AP Credit in High School. Learn answers to question like, “What is an AP Exam? What will earning AP Credit do for your high school student?” and more. I was surprised to learn that you do not have to take any sort of AP class to sit for an AP exam. This opened up a whole world of options for us as homeschoolers! While my daughter took a virtual AP English course this year, and I while I think it is wise to have that support and gearing towards the AP exam, I am also thrilled to know she doesn’t have to. This means that she can take something like a Statistics course through JumpCourse and then sit for the AP exam here in our local school district. Or she could take no formal class at all and study on her own. So how did we prepare for the AP English Language & Composition Exam? We were lucky enough to have a local school district that offered virtual AP courses to not only students in their district, but for homeschoolers in the surrounding districts. This offered my daughter access to an AP teacher, as well as a full year structured course geared towards skills needed to find success with the AP English Language exam. I highly recommend you do some research either in your area or online (via a Google search) for a place that offers virtual AP courses. It is a great way to get the structure, help, and education, from the comfort of your homeschool. One of the things her instructor impressed upon her is the need to practice for the time multiple choice section. PRACTICE PRACTICE PRACTICE timed multiple choice. This is a difficult skills for most students because the questions are sometimes tricky and it requires some practice with close reading skills. Practice timed multiple choice DAILY if possible. The more they see, the more comfortable they will be with the format, types of questions, and timing. rhetorical analysis essay – an essay that breaks a work of non-fiction into parts and then explains how the parts work together to create a certain effect—whether to persuade, entertain or inform. synthesis essay – he synthesis question requires a PERSUASIVE ARGUMENT. You are presenting your opinion in response to a given question; however, unlike the free-response question, you must use the facts and ideas presented in the provided sources. Use the sources to support or augment your OWN argument. Do not summarize the sources and allow those writers to speak for themselves—you are using what they say for your OWN purposes. argumentative essay – requires the student to investigate a topic; collect, generate, and evaluate evidence; and establish a position on the topic in a concise manner. Students should try to write at least one essay type per week. This gives them numerous amounts of practice, familiarizing themselves with each type as well as honing their writing skills in general. While I will not debate anything related to test taking (it is a hoop we are jumping through), therefore skills specific to test taking are important. Given that I haven’t taken an AP exam in over 20 years and this was our first run through with my own children, I am happy there are books out there to help. The Princeton Review Book listed below was very strong in it’s content for specific test taking strategies that were geared for the AP Exam. If you have students needing to take tests (such as CLEP, AP, SAT, etc.) I highly recommend you spend time reading up on and practicing their test taking strategies. It will help them to feel more confident and prepared when test time comes. This includes having seen examples of the specific test they will be taking. 1. 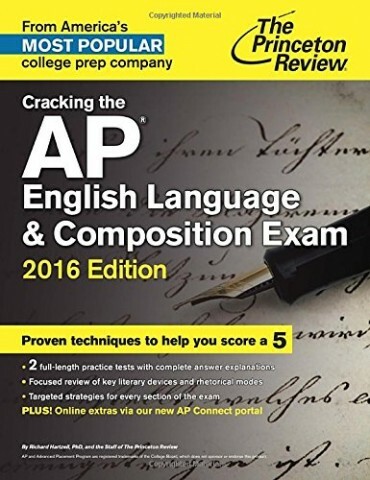 Cracking the AP from Princeton Review – From test taking techniques, to 2 full practice test, pacing drills, and sample student essays scored at different levels. This is a solid review book that has it all. This was one of my favorites because not only does it cover material specific to the test, it goes over in detail test taking strategies specific to the AP Exam. 2. 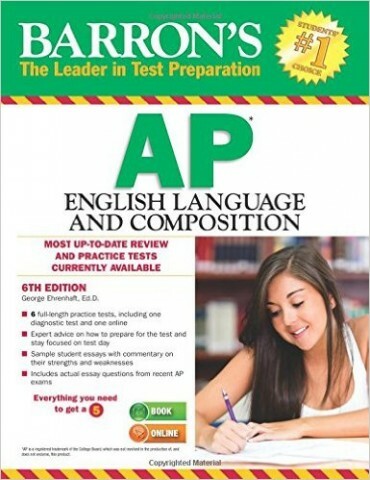 Barron’s AP English Language and Composition – The strength of this book is the sheer number of practice exams! Plus you get FREE access to one additional full-length online AP English Language and Composition test with all questions answered and explained! Guidelines for evaluating essays and determining final AP exam scores. 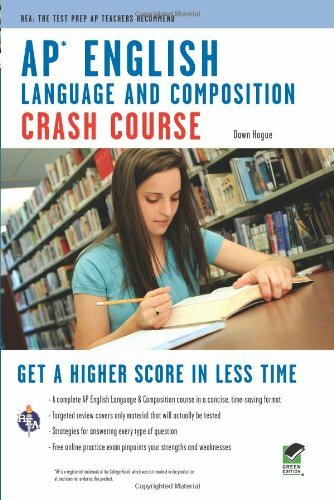 The Crash Course is based on an in-depth analysis of the AP® English Language & Composition course description outline and actual AP® test questions. It covers only the information tested on the exam, so you can make the most of your valuable study time. Our easy-to-read format gives you a crash course in genres, elements of argument, style, and rhetoric, and analytical reading and thinking. Entire chapters are devoted to writing essays and mastering the multiple-choice section of the exam.